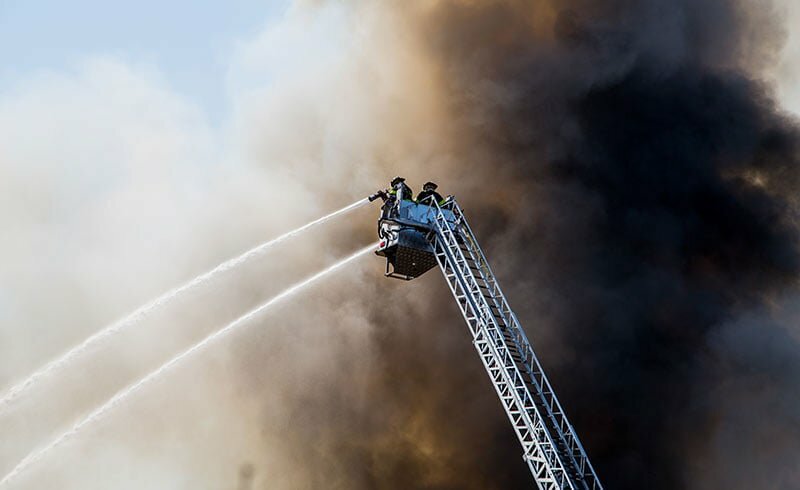 Is your business protected against a disaster? What happens to your valuable data in the event of a disaster, such as theft, fire or flood? Of course, businesses in other parts of the world are exposed to a higher risk of even more dangers, including earthquakes and other natural disasters, including tornadoes and hurricanes. “Yes, we are protected! We take backups”. Me: So, where do you backup? Client: On an external hard drive. Me: How often do you do that, and who is responsible for this process? Client: Oh, our secretary is responsible for that, and she is awesome! Further probing reveals that the awesome secretary assigned for this crucial operation is now gone from the Organization, no one else was trained since, and subsequently no backups are performed any more. The small business owner thinks he is protected. Nothing could be further from the truth. Another scenario is that “the awesome secretary” is left to his or her own devices, no one ever followed-up and most probably “The Secretary” is not doing the backups any more. She is too busy with other things. The critical operation of backups has slowly fallen through the cracks, and everyone has forgotten about it. Or, the backups ARE performed, BUT they are wrong! In fact, this is one of the most dangerous scenarios, because management THINKS they are protected, but they are actually not! Me: Have you ever made a test restore from your backup devices, to ensure that your backups are properly done? Client: (99% of the times). No! We are backing up the wrong data. We “thought” our ever important spreadsheet was under “My Documents” but it wasn’t! We are backing up in the wrong destinations. We “thought” we selected the same external hard drive, but we didn’t. WIth improper backup software and an “incremental” backup scheme (where we backup only changes), this could generate wrong backup sets. Our external drive may be faulty and we don’t know it yet. If we backup using a very old backup software version, we may be at serious risk of restore failures in the future, unless we manage to find that exact same old backup software again. EVEN IF local backups are performed regularly, and without errors, they do not provide sufficient risk mitigation against data loss. If a company becomes the victim of theft, or the premises have been physically destroyed as a result of fire or flood, all machines that keep the company’s data are gone. Those include the external hard drives backups were performed on. The Organization has lost one of its most crucial asset: Its data. This day and age data loss can be devastating. A Small Business might not be able to recover from such a blow, or may suffer huge financial losses as a result. As I recall from the “old days”, back in the nineties, staff used to also have the responsibility of taking home extra backup sets, just in case a catastrophe took place at the office. Of course, that too never seemed to work efficiently! Perhaps, the person responsible remembered to make backups and take home the tapes during the first month, but then forgotten. The Organization spent large spreads of time without any protection whatsoever. in the nearly 30 years in business, I personally experienced cases where Organization literally lost all their data with devastating consequences: Accounting data lost and companies didn’t know who owed them money. Tax relief evidence lost. Project correspondence vanished. You cannot feel the pain until it happens to you! Data loss is a devastating event for any person or Organization. Internet-based storage such as Microsoft OneDrive, Google Drive and Dropbox is NOT a proper business cloud backup system! Versioning: What if you save a wrong version of your Excel spreadsheet? The previous version is gone for ever! Dropbox and other similar services are folder synchronization services. If you are synchronizing a folder with 200 gigs of data from your laptop you will have performance and potentially data-loss problems, let alone even attempting to “restore” anything back from the cloud in the event of a catastrophe. A business-grade Cloud Based Backup system such as our own COMMbits Cloud Backup offers a robust data disaster recovery solution. With multiple backup versions, source backups from any location including network folders and a plethora of other features including military-grade security, high-end performance speed, and a business managed service, you can have a complete solution that safeguards your data. Managed and reliable data recovery Business custom Cloud Backup plans. Try it today, RISK FREE!